Chunky sweaters have been a life saver for me this winter. 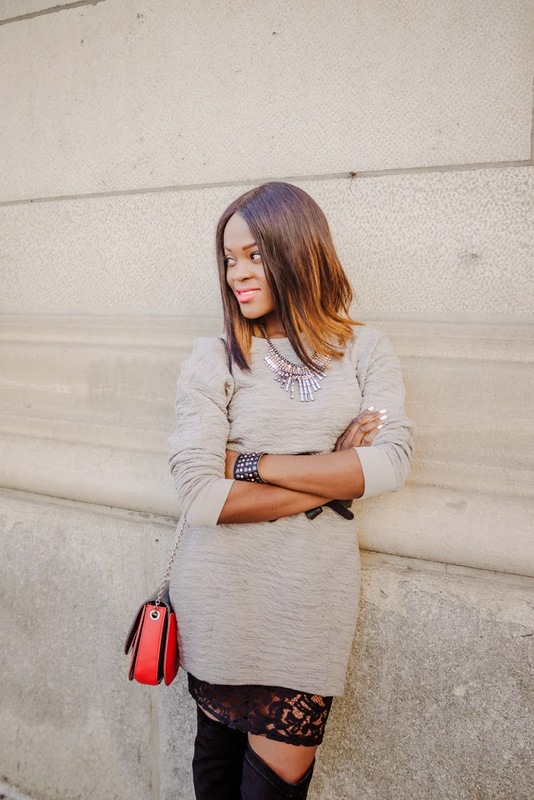 On days when I want that comfy chic look, I pull out the boxy or chunky sweater. 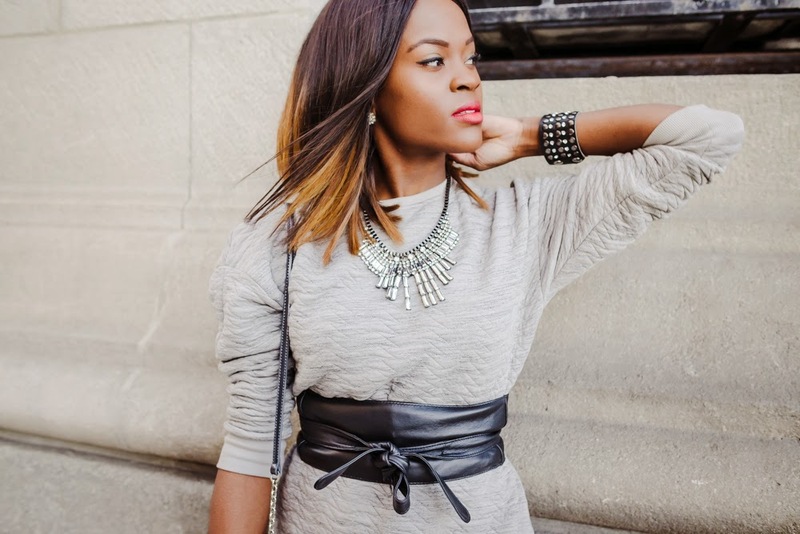 A statement belt goes a long way in defining your waist line and adding a flattering shape. 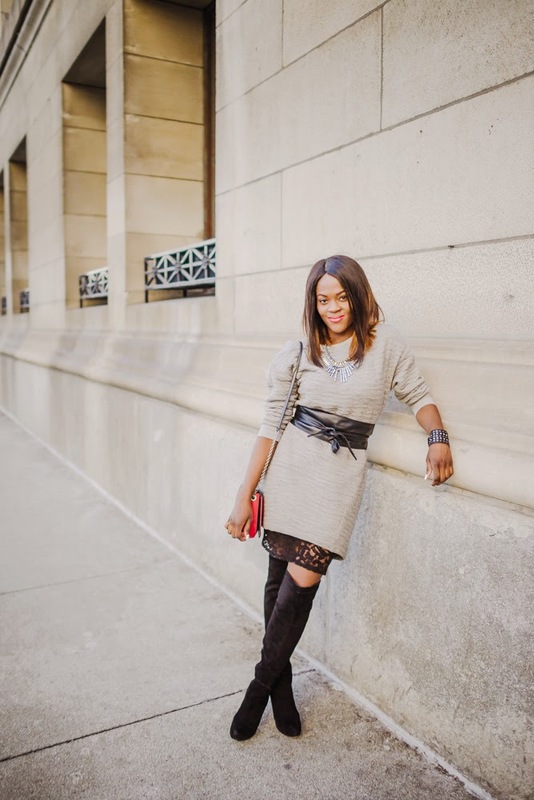 For this look, I chose my fave Obi belt that I wore to cinch in a jacket in this past look. Chunky sweaters allow you to add layers underneath for some extra warmth and can be worn with anything from your favorite skinny jeans to OTKs. Pick your poison. Adding a lacy skirt underneath adds sensuality and femininity to this look. As usual, a pop of color with these gorgeous Ivanka Trump bag, also worn here, completes the look.